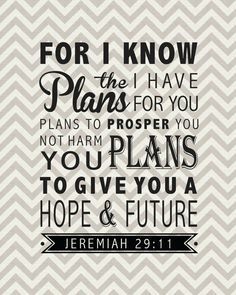 Jeremiah 29:11, “For I know the thoughts that I think toward you, says the Lord, thoughts of peace and not of evil, to give you a future and a hope,” is one of the most popular Bible verses among evangelicals. In its original context, God, through Jeremiah, is speaking hope to the wayward citizens of Judah who had been taken captive to Babylon by Nebuchadnezzar (Jer. 29:1). This word of hope which resonates with so many today, may have been born out of Jeremiah’s own personal family history and experience. It appears that Jeremiah’s own family history was acquainted with rejection, while his own call confirms that God does not give up on those who were once rejected. What do we know about Jeremiah’s family history and how does this rejection/acceptance theology play out in his own life? The evidence suggests that Jeremiah was a descendant of Eli. 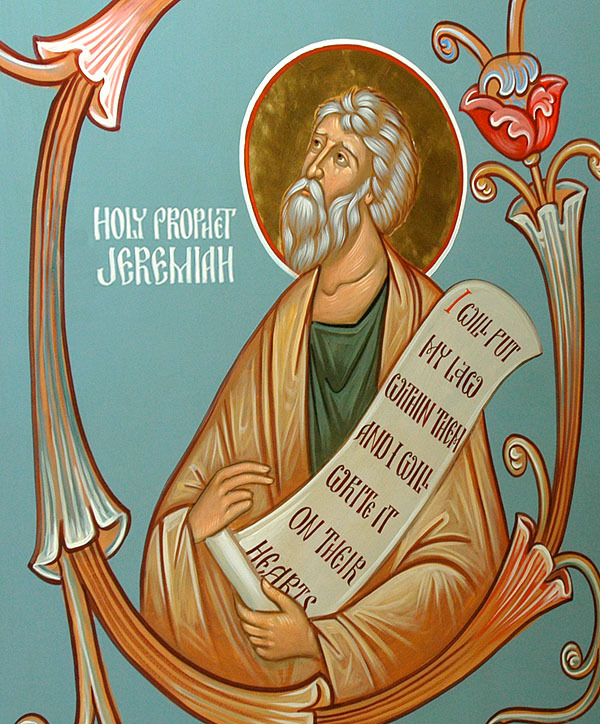 Jeremiah 1:1 introduces Jeremiah as “the son of Hilkiah of the priests who were in Anathoth.” This brief statement has convinced many scholars that Jeremiah was a descendant of Eli, the high priest whose story is recorded in 1 Samuel 1-4. There are a number of good reasons for such a connection. Abiathar, a descendant of Eli, was one of the high priests during the reigns of David and Solomon (2 Sam. 20:25). Shortly before Solomon’s accession to the throne, Abiathar joined a coup headed by David’s son Adonijah (1 Kgs. 1:7). As a result Solomon, deposed Abiathar from the high priesthood and sent him packing to the town of Anathoth where Abiathar owned land (1 Kgs. 2:26-27). Since Anathoth was a small village (only about 3 miles northeast of Jerusalem), it is unlikely that there would have been more than one priestly family living there. Thus, the fact that Jeremiah is from a priestly family from the town of Anathoth makes it very likely that he was a descendant of Abiathar, and thus also a descendant of Eli. During the priesthood of Eli, God had warned him that the priesthood would be taken from his family and given to another (1 Sam. 2:27-36). That prophesy was fulfilled during the high priesthood of Abiathar (1 Kgs. 2:27, 35). Therefore it seems that Jeremiah’s family history was a legacy of failure and rejection. When Eli heard the news of the ark’s capture, he fell backwards off of his chair and died (1 Sam. 4:18). These stories about Shiloh’s destruction were probably a part of Jeremiah’s family history. There are other hints from the Book of Jeremiah that strengthen his ties to the priestly family of Eli and Abiathar. Jeremiah is the only prophet to speak about the destruction of God’s sanctuary in Shiloh during the days of Eli (Jer. 7:12-14; 26:6; 1 Sam. 4). This may well suggest a vivid family memory that was passed down from generation to generation. Since Shiloh was a part of the northern tribes, some suggest that this might explain Jeremiah’s concern for Israel. Regarding Jeremiah’s connection to Abiathar and the sanctuary at Shiloh, Thompson writes, “Such an ancestry would explain Jeremiah’s deep feeling for Israel’s ancient traditions, his special interest in Shiloh and its fate, his genuine concern for the people of Northern Israel, and his affinity with Hosea, the great prophet to the people of Northern Israel in the eighth century B.C.” (Thompson, NICOT, p. 140). Jeremiah is also the only prophet to mention Samuel. In Jeremiah 15:1 the Lord tells Jeremiah that “Even if Moses and Samuel stood before Me, My mind would not be favourable toward this people.” Samuel, of course, had a very special relationship with the family of Eli (1 Sam. 1:24-28; 2:11, 18-20; chapter 3). Jeremiah’s own family history mirrors the words that God spoke to him through his visit to the potter’s house. In spite of this family history of failure and rejection, Jeremiah was a specially chosen mouthpiece for God. The call of Jeremiah to the prophetic ministry begins in Jeremiah 1:4 with these words: “Before I formed you in the womb I knew you; Before you were born I sanctified you; I ordained you a prophet to the nations.” In many ways, Jeremiah’s family history made him the perfect individual to speak about God’s ability to transform former failures into new beginnings. 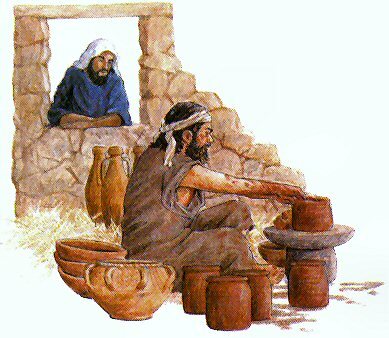 On one occasion when Jeremiah visited a potter’s house, he was given the following message: “O house of Israel, can I not do with you as this potter. . . .The instant I speak concerning a nation and concerning a kingdom, to pluck up, to pull down, and to destroy it, if that nation against whom I have spoken turns from its evil, I will relent of the disaster that I thought to bring upon it” (Jer. 18:6-10). The message continues with a warning that when God speaks about building and planting a kingdom, if that kingdom does evil, He will relent concerning the good He said He would do. Although the nation of Judah did not respond positively to Jeremiah’s prophetic ministry, and God eventually sent them into exile, Jeremiah was led to proclaim words of hope, such as the words in Jeremiah 29:11. Perhaps Jeremiah’s most famous utterance of hope, however, was the proclamation that God would make a new covenant with His people (Jer. 31:31-34). One way in which Jeremiah was commanded by God to act out this hope for the future was by buying his uncle’s field in none other than the town of Anathoth (Jer. 32:7-15). This real estate transaction took place while Jeremiah was in prison and while the Babylonian army was besieging the city of Jerusalem! Even in the face of judgment, God holds out hope for people from a rejected family or nation. No one knew this better than Jeremiah. Family, or personal failure, does not disqualify you from God’s grace. Do your family’s failures haunt you? Does the past seem to have an ironclad hold on you? Take heart in the example and message of Jeremiah, a man from a family with a legacy of failure, who rose above it by God’s grace. Jeremiah 18:7-8 sends the clear message that God does not hold the failures of the past against anyone who has a repentant heart. Even the judgment of the exile, could not hold back God’s desire to begin again. In the midst of that judgment, God was already promising His people a new start by announcing a new covenant. His spokesperson was from a rejected house with a legacy of family failure. It was Jeremiah, descendant of Eli, whom God called to proclaim words of hope for the future. Hi Randy – I landed in this page when I was researching the relationship between Eli and Jeremiah. I too was impressed with the same revelation which you have beautifully captured here. Do you think 1 Samuel 2:33 is a prophecy about Jeremiah? Thanks so much for your comment. Glad the article was helpful. 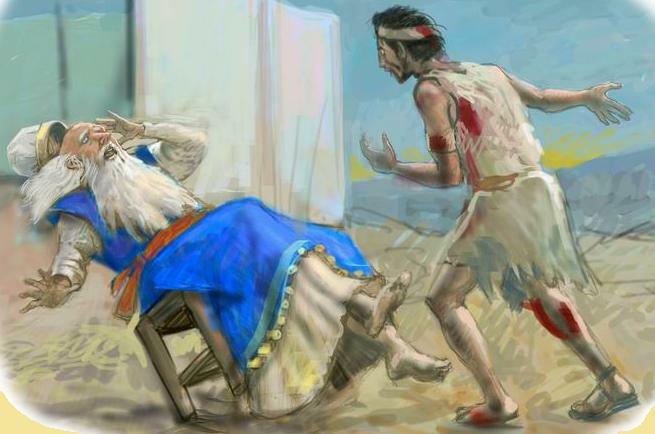 In the context of the books of Samuel, this prophecy is fulfilled in Abiathar, who is the only one that remains of the house of Eli when Saul slaughters the priests of Nob (1 Sam. 22). I found your study on different Bible characters very helpful. I was encouraged more to study the Word and apply it on my life. Like you it was also my dream to become a good teacher of God’s Word. I am a young engineer from the Philippines and I also teach in Sunday Schools. I also believe God called me to communicate His Word esp. through teaching. Thank you for your very kind words Jared. May God continue to bless you as you study and teach His Word! Thank you for this Randy. A most useful article for my bible study and a true and unique interpretation of the facts for today. I’m glad you found it helpful Ruth. Thank you for your kinds words.